These were taken January 9th, at the end of a week when we had extreme cold for South Carolina and six inches of snow. Alligators slow their metabolic activity when it gets cold and all they need is to breathe. 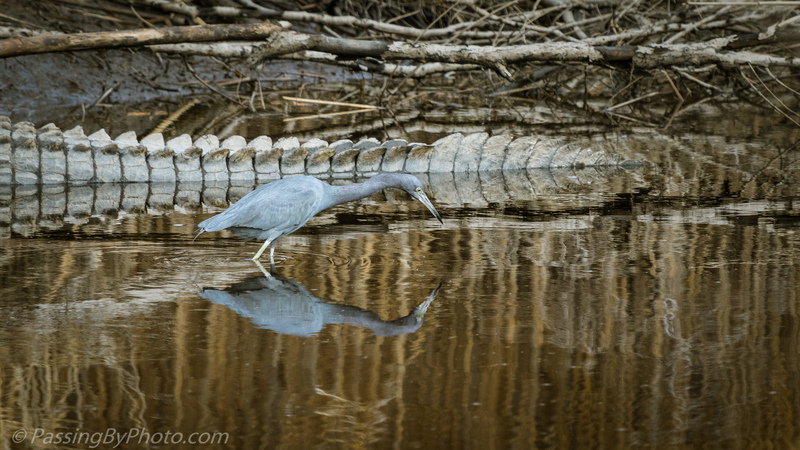 The Little Blue Heron waded the entire length of the Alligator, poking in the water as he went, perhaps not even recognizing the gator was there. 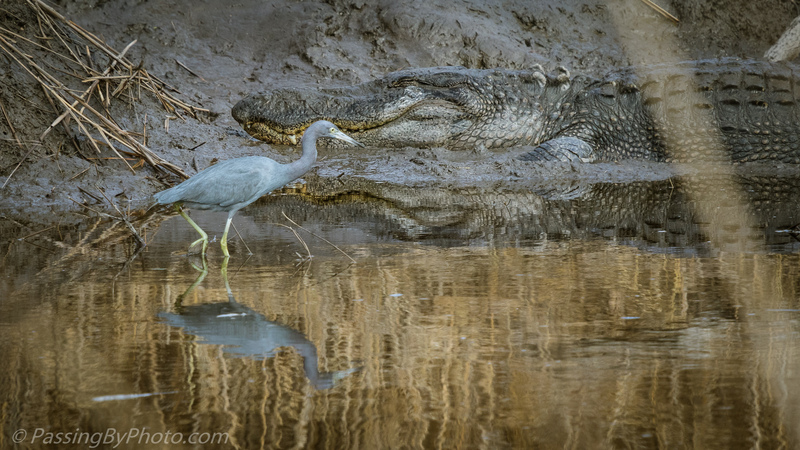 How did the little heron make out in the end? A bit close for comfort. Or foolish…he just had to fly about 10 feet to have a section of the bank to himself! Oh Wow! What an amazing shot, Ellen! At first I thought the alligator was part of the landscape! As soon as I saw your header, I was aghast! That is one big gator! He must not have been hungry, thank goodness! Little Blue, watch where you wade!! I know, you keep thinking those jaws are going snap open! 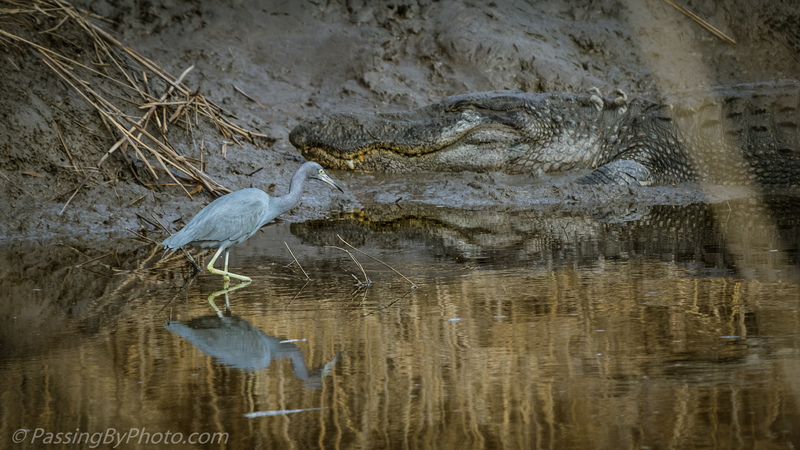 In this cold the alligators’ metabolism slows and they don’t eat much, but I don’t think Little Blue knows that!